Surrounded by the beautiful San Diego Bay, Downtown San Diego is one of the most vibrant metropolitan cities in the country. As the eighth largest city in the United States, Downtown is once again becoming the center of San Diego with nearly 35,000 residents, 75,000 workers and millions of year round visitors. 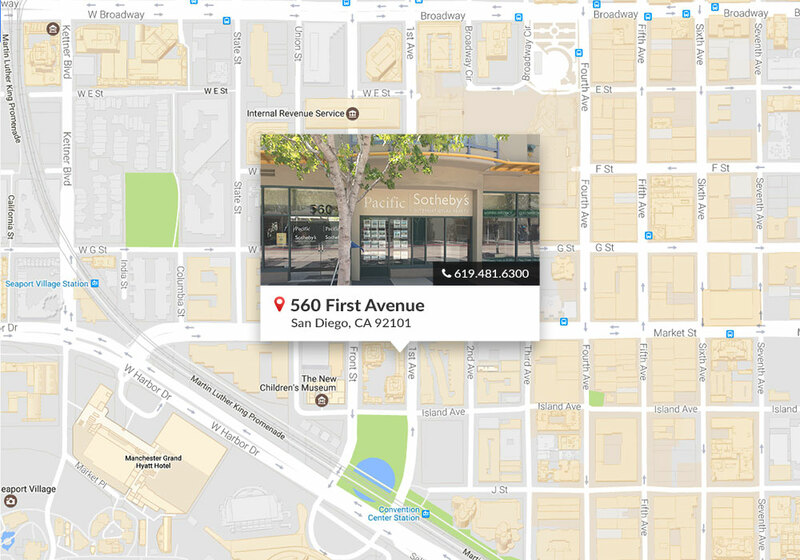 Downtown San Diego is a dynamic and flourishing area of the city, housing a diverse mix of cultures, services, businesses, and real estate. Top neighborhoods including the Marina District, Gaslamp Quarter, East Village, Cortez Hill and Little Italy have seen a tremendous increase in the number of young professionals, families and retirees who want the conveniences provided by an active urban lifestyle. From luxurious condominiums to modern lofts and California bungalows to Victorian mansions, San Diego’s Metropolitan neighborhoods are as diverse as the individuals who call them home. San Diego’s Convention Center, Petco Park, home to the San Diego Padres, as well as San Diego International Airport are all conveniently located here. Downtown San Diego has an active arts community which boasts the San Diego Public Symphony, Spreckels Auditorium, San Diego Opera, San Diego Symphony and the Museum of Contemporary Art to name just a few. Shopping includes eclectic boutiques and as well as the popular retails chains located in Horton Plaza. The Columbia neighborhood, also refereed to as the Waterfront, hosts several popular attractions, including the Midway aircraft carrier, San Diego Maritime Museum and the Star of India.